"I will not give it away." is Parseltongue for "not really for sale" and is a phrase I hear far too often. It ranks right up there with "I won't play games." in popular self-defeating language I encounter in the often emotional business of buying and selling real estate. The "not really for sale" MLS listing (NRFS) is alive and well in our market. I've written about these properties in the past, in detail here. One of the types, the impossible-to-close short sale, no longer exists in our market, thankfully, but, all of the others remain with the way-overpriced, "I will not give it away" seller type flourishing. 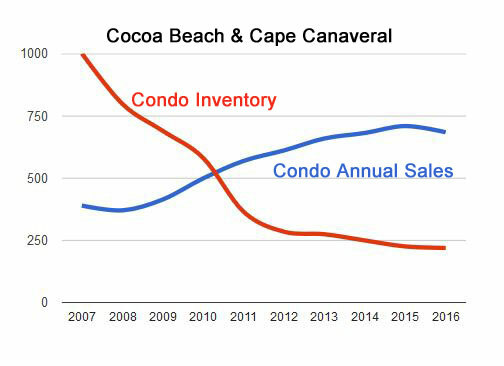 We've averaged 55 condo and townhouse sales each month for the last six months in Cocoa Beach and Cape Canaveral. Half of those properties were on the market less than 50 days and 41% sold in a month or less. That's an indication of strong demand and accurate pricing. At the other end of the scale, ten of the sold units had been on the market for over a year before selling. Every one of those had multiple price drops before they got into a range that was finally acceptable to the market. In contrast, half of the current condo and townhouse listings have been on the market for more than 90 days. The inference is obvious, they are over-priced. 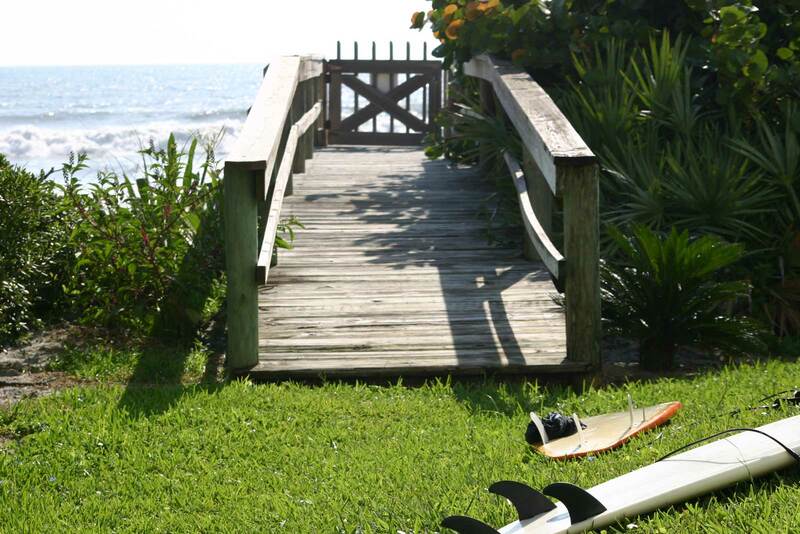 We currently have 229 condos and townhomes for sale on the Cocoa Beach MLS in our two cities. A third have languished for over half a year and an obstinate 8% have held their gilded units out for sale for over a year. The poster child of this NRFS parallel universe has been listed for almost two and a half years with a 20% price increase along the way. Zillow will allow anyone interested to play this game at home with their "Make Me Move" listings. Slap a crazy high price on your house and wait for the mythical buyer willing to pay your fantasy number. It's fun but has not proven to be a successful strategy. These stats tell us that the majority of the current MLS listings are owned by sellers with unrealistic expectations. History tells us that most will modify those expectations before selling. Some like the two years and counting listing will proudly cling to their incorrect opinion of their unit's value and never sell. Their listing agents will continue to sell other realistically priced properties to interested buyers who aren't willing to overpay for the listing that prompted their inquiry. These over-priced listings typically have one of two types of listing agents. There is the agent who knows the price is unreasonable but encourages showings and offers with the hope that the seller will eventually see the light and accept or respond to a fair offer. In the meantime the NRFS listing may draw inquiries that lead to sales of other reasonably priced properties. Then we have the agent who for various reasons is committed to the fantasy price. She may be trying to boost or protect comps in the building, she may be related to or friends with the seller and can't speak the truth or she might not know the dirty details of the comps she's relying on to support the price. As a buyer's agent, it's frustrating to come up against these listings regardless the type of listing agent. I prefer the one who knows the property is overpriced but in the end, until the seller is willing to accept reality, some properties are just not for sale. Of the 229 units for sale this morning, a large number are overpriced but haven't been listed long enough for our combined-days-on-market screen to identify them. 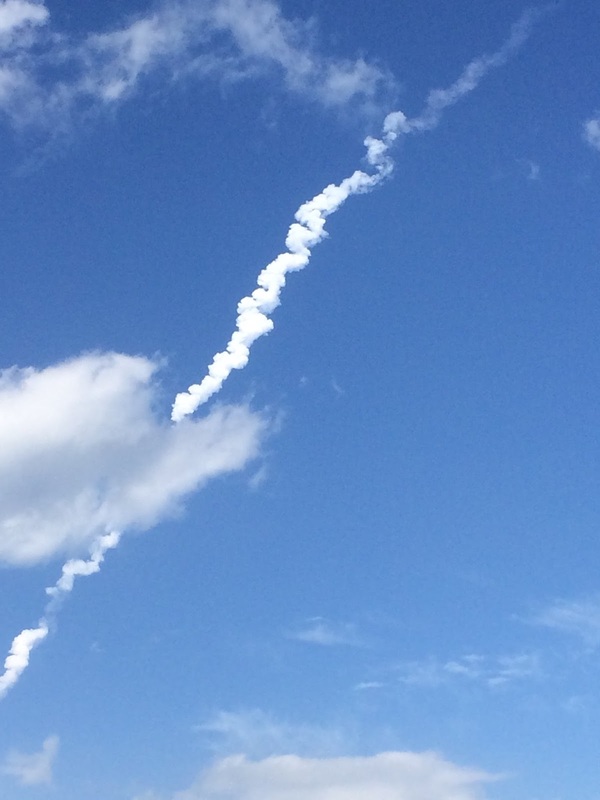 I think it's safe to say that there are less than 100 condo and townhome units for sale in Cocoa Beach and Cape Canaveral that are asking within 10% of fair market value. Within that group are always a few recently listed gems. One of my clients was able to score what may turn out to be the smoking deal of the year in a luxury direct ocean condo in south Cocoa Beach. They were only able to do this because they had done their homework, knew what prices were fair for the type of unit they wanted, able to recognize a deal when it appeared and probably the most important part, able and willing to act immediately. Those who are looking shouldn't despair over low inventory and unreasonable sellers. The search may take longer than planned but there are and will be reasonable sellers of the target property type. Buyers who know the range of fair value for their target property type and who are ready to act when something appears are the ones who will be successful in their search. If you need a well-trained bird dog with his nose in the ocean breeze, contact me. I know this patch of sand, the birds and the other dogs and they know me. Outside the city limits looking south over unincorporated south Cocoa Beach towards Patrick Air Force Base where the land widens in the distance, Banana River on the right, Atlantic Ocean on the left. Now you know. Following up on my recent post, When There Are No Comps, I'd like to explore the trustworthiness of comps a little more. An oceanfront condo sold recently in south Cocoa Beach for what seemed an unbelievably low price. It was a private sale and not on the MLS. I saw the contract. Written in the contract was a line that the purchaser would get use of the unit for the months of January, February and March free of cost for life. Sounds crazy since by buying the unit the purchaser gets exclusive use of the unit anyway. It was a tactic to defeat the first right of refusal process in this particular condo complex. It was intended to make the contract unattractive to any owners that wanted to exercise their right which would have been sure to happen since the price was so low. I feel fairly certain that the sales price on this contract did not accurately reflect the actual amount of money that changed hands. By writing the odd clause in the contract, the seller defeated the first right process AND, if the contract price was indeed lower than the actual money changing hands, reduced his capital gains tax liability and the purchaser's property taxes going forward. A win for both parties to the fraud but not for other taxpayers and other owners in the complex whose units now appear to be worth less than they really are. 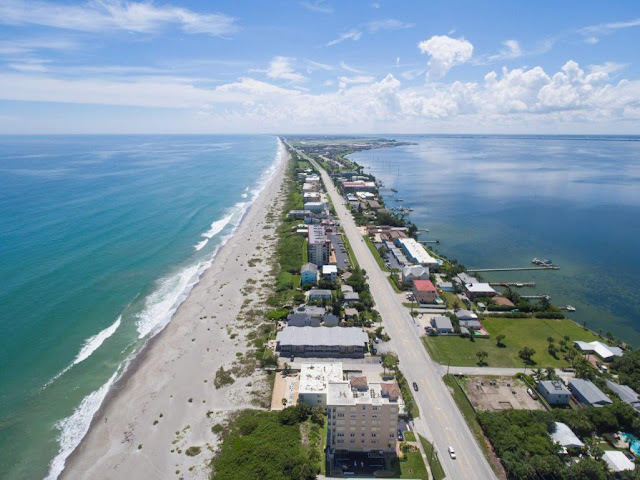 I am aware of another unit in Cocoa Beach, also a private sale not on the MLS, that is due to close shortly that will likely record for an amount less than the actual selling price. Any Realtors or appraisers using it or the previous sale for comps will be using flawed information and will not get an accurate estimate of whatever property they're trying to value. This works in the other direction as well. Developers are fond of propping up the comps in a new development by issuing credits to buyers at closing. I've seen "decorating credits" of up to $75,000 issued to a buyer of a new condo unit. That sale may have recorded at $600,000 but with the cash back to the buyer at closing the actual price was $525,000. A seller a year down the road may reasonably think his unit is worth $600,000 plus some appreciation. As long as the new buyer isn't aware of the unrecorded credit or the giant bonus [bribe] paid to the first buyer's agent he may willingly pay $600,000+. This brings up an interesting point. If sales after the developer's departure reflect the inflated recorded comps as true then the initial deception becomes reality. This is actually the case at one very popular luxury complex in Cocoa Beach. There is another luxury complex in Cocoa Beach where a good number of the post-completion sales were by the developer and entities that he controlled. Several of the recorded sales involved property swaps and other off contract compensation that make selling prices seem far higher than they actually were. Private sellers in this building can't figure out why they aren't able to get any action at their asking prices which seem in line when compared to the bogus recorded prices. Comps are only as good as the veracity and completeness of the information contained in them. Agents rarely make notes on closed sales that the entire contents were included in the final price or that commission was reduced or that the owner is getting the month of March free for the next five years. All those things affect the actual price paid. In the end it is prudent for all parties to a transaction to realize that comps are just part of the story and that there are often details that will never be known. CMAs and appraisals are only one person's opinion of value and that opinion is often formed with incomplete and/or inaccurate data. Proceed accordingly and don't lose a deal because of an opinion of value that might be flawed. As of this morning the Cocoa Beach MLS is showing 52 condos and townhomes sold in Cocoa Beach and Cape Canaveral in the month of November. Just over half were purchased for cash and almost a third were on the market for less than two weeks. The inventory is hovering just above 200 existing units and sales for the year look to come up just shy of last year's record 710 sold units. At the high end of the range were four oceanfront units at prices between $465,000 and $610,000. Lowest price paid for a unit in an oceanfront building was $170,000 for a ground floor Driftwood Villas 2/2 with 1236 square feet. Four riverfront 2/2 units with garages in Cocoa Beach closed at prices between $230,000 and $255,500 at Commodore, Beachwalk, Sunset Harbor and Diamond Bay. One lucky buyer scored the most desirable unit at Harbor Isles in Cocoa Beach. The totally remodeled top floor southwest corner 3/2 in the south riverfront building closed for $380,000. The view over the islands from this unit is unequaled in Harbor Isles. Other river units included a 4th floor Magnolia Bay 3/3 for $435,000, a 3rd floor corner 3/2 at Harbor Club behind the Sunset Grille that went for $395,000 and a 2nd floor corner 3/2 River Bend in south Cocoa Beach that brought $389,900. A 2nd floor south corner 3/2 in the south building at Solana on the River in Cape Canaveral sold for $372,000. There were two weekly rental oceanfront units sold in November. One was a 2nd floor poolside unit at Cocoa Beach Club that sold for $250,000 and came with a seven year special assessment. Ouch. A 2nd floor direct ocean Boardwalk 2/2 in downtown Cocoa Beach closed for $312,825 with a garage. A 4th floor direct ocean Stonewood 3/2 in mainly original condition with 1588 square feet sold for $360,000 while a totally remodeled 8th floor 2/2 Sand Dollar floor plan with 1470 square feet closed for $465,000. A rare 7th floor NE corner 3/2 in the "A" building at Royale Towers sold for $500,000 fully furnished. Amazing unobstructed panoramic ocean views from this unit with a wrap balcony. A gorgeous 6th floor totally and beautifully remodeled 3/2 unit at Constellation sold for $585,000 the first day on the market. These upper floor units at Constellation have, in addition to direct ocean views, wide open views from their west balconies across the three mile wide Banana River to south Merritt Island in the distance. Highest price paid in the month was $610,000 for a direct ocean 4th floor SE corner 3/2 Cape Club in Cape Canaveral. Eleven single family homes and one half-duplex also closed in the month. Lowest price paid for a waterfront single family was $329,900 for a small 3/2 on a canal off Minutemen Cswy. Highest recorded price was $765,000 for a gorgeous totally remodeled 3296 square foot Key West style 5 bedroom, 3 bath on a canal with island views, 2 car garage and pool. Five of the total were purchased with cash and half were on the market less than a week and a half. The Cocoa Beach Art Show was excellent again this year with a great lineup of musical artists on the big stage at the west end of the show on Minutemen and a ton of great art on display. The spirit of our small town is really captured in these street events with the Thanksgiving show being the best example. A very big thanks is in order for Steve Romano and all the other volunteers who pulled this annual event together after the desertion of the Space Coast Art Festival in 2014. Ironically, that event found themselves without a venue this year while the adolescent Cocoa Beach Art Show carried on in fine form as if it had always been there. Well done, guys.